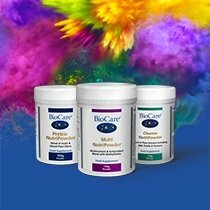 At BioCare, we provide a niche number of high quality supplements that focus on the particular needs of men – from a wide-ranging multivitamin supplement to a more targeted synergistic blend of amino acids, plant nutrients and antioxidants. 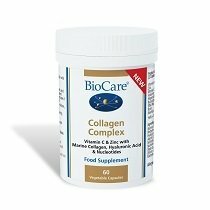 Browse our supplements for men below or read on for more information. Taking a multivitamin supplement provides the reassurance of giving your health the broadest level of support. 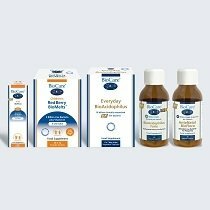 At BioCare, we offer MaleForte® Multi, which is a wide reaching multivitamin and mineral with additional antioxidants and plant extracts designed specifically for male health. MaleForte® Multi has a high ratio of B vitamins and zinc – a powerful mineral that contributes to normal testosterone levels. It also includes Korean ginseng, which help maintain alertness, vitality and physical performance. MaleForte® Plus is a more targeted supplement – a potent mix of zinc, amino acids, Korean ginseng and nettle. As well as playing a role in normal testosterone levels, zinc supports reproductive health and fertility – and also cognitive function, the immune system and vision. MaleForte® Plus provides 200mg of both Propionyl-L-Carnitine and L-Arginine – two important amino acids for the body. ASC Plus is another highly potent amino acid supplement with 900mg of L-Arginine. ASC Plus also includes a number of effective antioxidants including selenium and vitamin E that help protect cells from oxidative stress. Selenium has also been shown to contribute to sperm formation. Saw Palmetto Complex is a blend of nutrients that supports men’s health. The Saw Palmetto is a small palm tree, and people from across the world have been taking its extract for centuries. As well as a number of antioxidants and amino acids, Saw Palmetto Complex also includes beta sitosterol, a potent plant sterol.